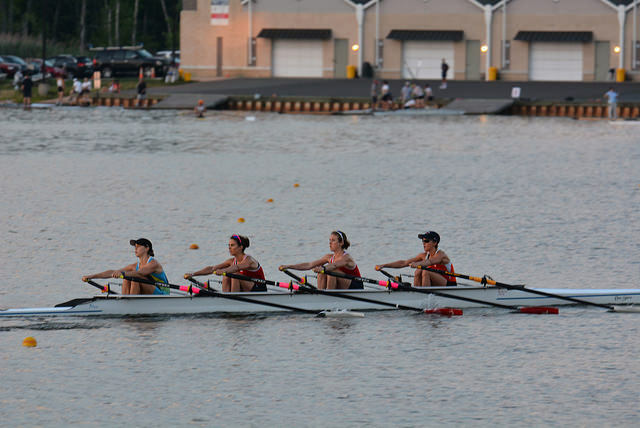 Racing begins Monday evening on Mercer Lake in New Jersey. Because not all boat classes are represented at the Olympic Games, the World Rowing organization also hosts a non-Olympic World Championships. For lightweight women, five of our seven available seats are contested at this event. 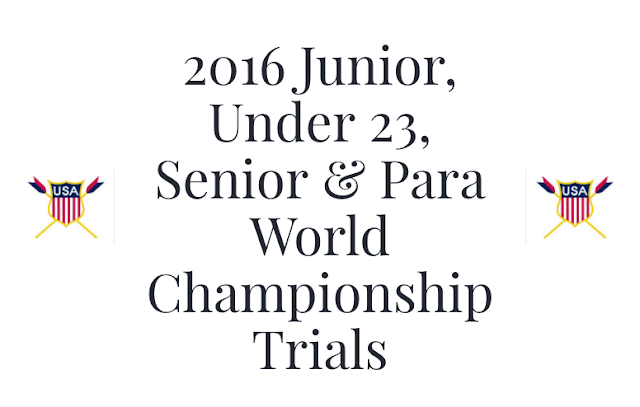 This trials event selects the athletes who will represent the USA in Rotterdam in late August. This year, the race also coincides with Junior and Under-23 Worlds, so these boats will also be selected this coming week. I'll be racing the lightweight women's single. Heat sheets will be posted at herenow.com after the athlete meeting on Monday afternoon and live results will go up during racing. I will try to update my Twitter so you can follow along. Typically, US Rowing also live streams the finals, so if I make it through to the final, check the US Rowing YouTube page. I appreciate all cheering, but if you'd like to be a super fan, I've gathered information about my competitors below. Mary Jones and Michelle Sechser are the big guns in this race. 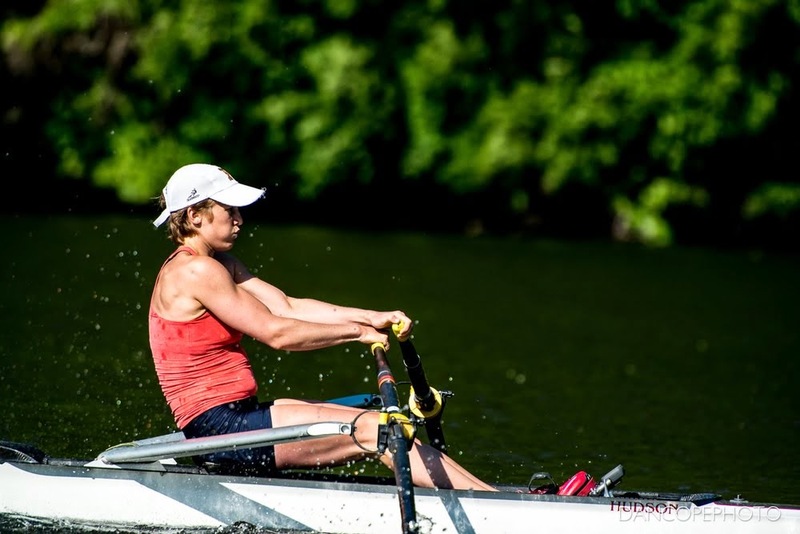 This quadrennial, Mary represented the USA in the lightweight quad at the 2014 World Championships and in the lightweight single at the 2015 Pan American Games (where she won gold). She is coming off of an impressive 2nd place finish in the open weight double at Olympic trials. 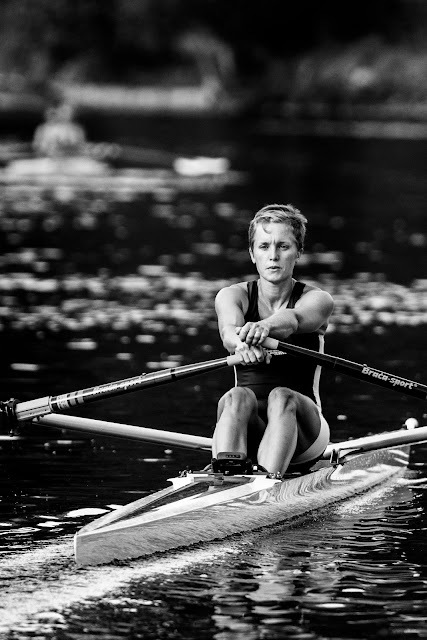 Michelle has represented the USA in the lightweight women's single at the 2013 World Championships and 2016 World Cup 2 (coming away with a fourth place finish, less than six second back from current world record holder Zoe McBride). Michelle was also part of the USA lightweight double in 2014 and 2015, and helped qualify the boat for the Olympic Games. A lot of experience is an understatement. Cara Stawicki, Sydney Taylor and Kat Schiro all recently switched clubs. Cara made the move from Vesper down the street to Penn AC (racing as Schuylkill Navy) while Kat made the move cross country from SoCal Scullers to Potomac Boat Club. Sydney moved from Lincoln Park BC in Chicago to join the Pocock RC in Seattle. Cara, Kat and I have all traded back and forth wins. 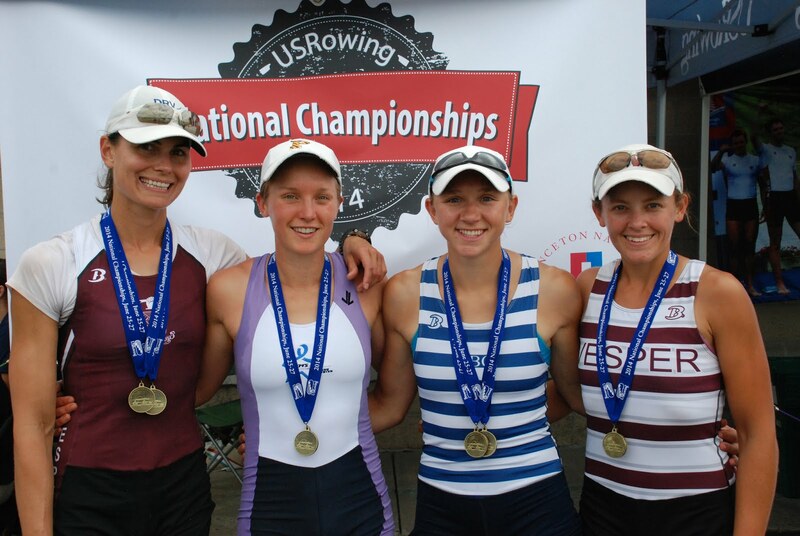 In 2014, Cara made her way into the A-final at the first National Selection Regatta. Kat (who represented the USA at U23 Worlds in 2011) earned a spot in the final at the 2015 PanAm trials, where both Cara and I were eliminated in the semi-final round with near identical times. Shortly thereafter, I bested Kat at Elite Nationals, after racing together in the quad at Senior Trials. I suspect all three of us will be racing for a spot in the A-final, and looking to close the gap to Mary and Michelle. Kat in stroke seat (left), with me in bow (right), for our lightweight quad in 2015. Sydney will also be looking to join the mix with Cara, Kat and me. After a strong debut result at PanAm Trials last year, where she beat me in the time trial and bested Cara in the heats, she's had a tough spring of racing to start 2016. Sydney is one of the youngest athletes in the group. The biggest unknown in the field is Annie Couwenhoven. She has raced in a few U23 trials as an open weight, but this will be her first appearance at a Senior trials event. Hi Michaela, I row with your mom at LMRC and lived in New Milford for many years up on Candlewood lake. Good luck to you. We will be following your successes. Thanks for the note, James! Any recommendations on places to go running around here? My normal routes are getting boring!